The patent, which describes a central screen unit with pronged controller grips either side, seems a halfway house between a smartphone or tablet and a handheld. 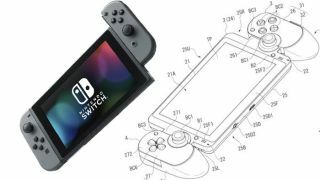 In other words, it's not unlike Nintendo's soon-to-be-released Switch (though the 2015 date for the patent makes it more likely that Sony was taking "inspiration" from Razer's short-lived Edge Pro Gaming Tablet). Could this mark a return to the handheld space for Sony? Don't hold your breath. A patent submission for starters is not a definite marker for a new device in development – it's simply a way for Sony to protect its ideas. Elements of this design are more likely to turn up in the future piecemeal, rather than in whole. It's worth noting that the PS Vita struggled compared to its predecessor, the PSP, with the two consoles faring dramatically different. The Vita managed just over 15 million sales, while the PSP enjoyed more than 80 million. Even the Vita's direct rival, the Nintendo 3DS, has only managed close to 64 million sales, suggesting a decline for the category overall, and not just Sony's handheld fortunes. But there's change in the air – Nintendo is banking on the continued popularity of handheld gaming with its innovative and flexible Switch console. If it proves suitably popular, it wouldn't be long before Sony could start considering the space once again.